COPILOT was excited to be part of some groundbreaking work from McCann for International Women’s Day. Read Adweek’s full piece here. 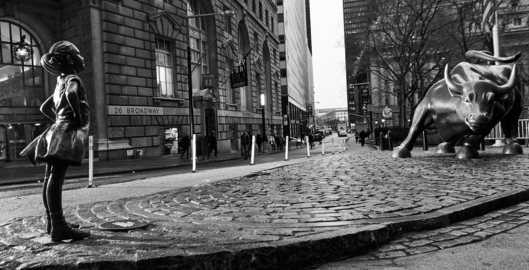 Pedestrians in lower Manhattan had a new piece of branded art to ponder on Tuesday morning, as McCann New York and client State Street Global Advisors conspired in the middle of the night to drop a statue in Bowling Green Park of a girl facing off against the famous Wall Street Charging Bull. The stunt, timed to International Women’s Day on Wednesday, is meant to symbolize the power of women in leadership. More specifically, it’s part of a campaign by SSGA to emphasize that companies with women in top positions perform better financially.